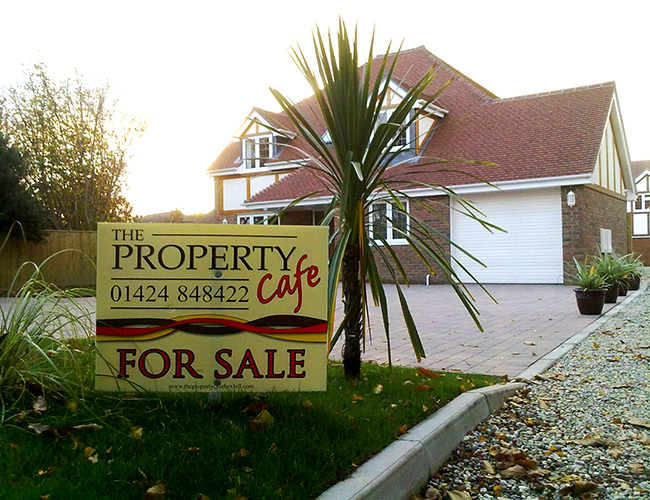 Correx boards for estate agent signs are a specialty of ours! We perform all of our screen-printing in house and are able to output very large quantities in very short time scales, very cheaply! 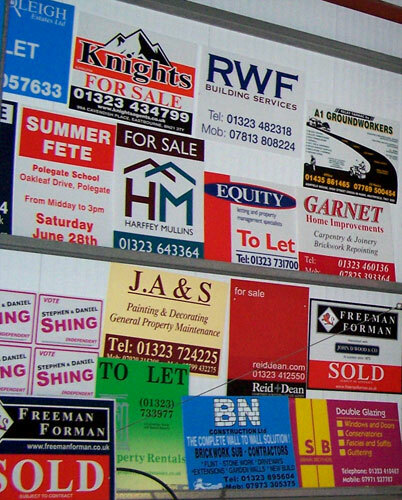 We don't just supply our correx estate agent boards to Eastbourne, we regularly supply to large firms across Sussex and England. 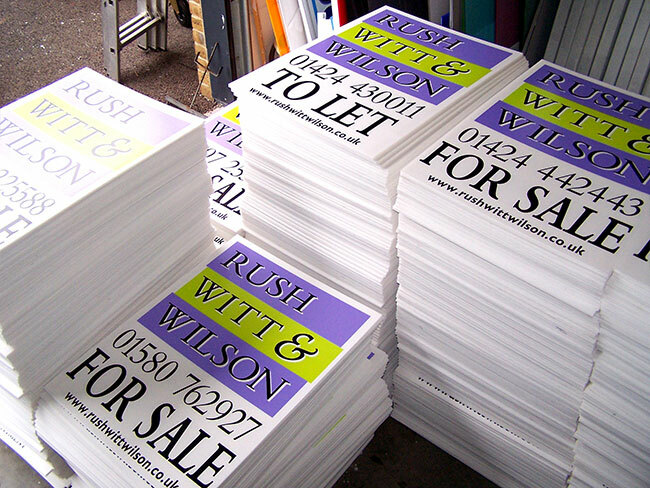 This was a large order of screenprinted correx boards for Sussex based estate agents Rush Witt Wilson. We outputted a massive order extremely quickly. 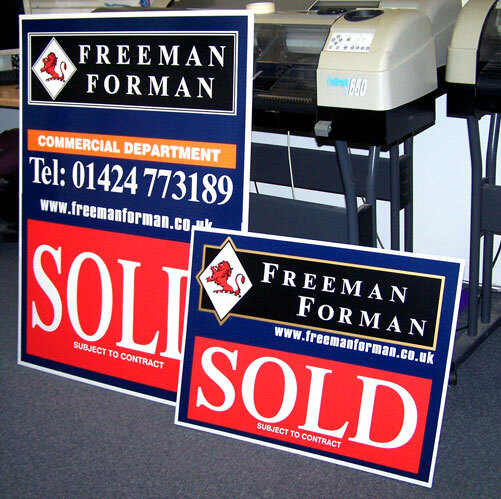 We print estate agent boards for National companies as well as local firms! 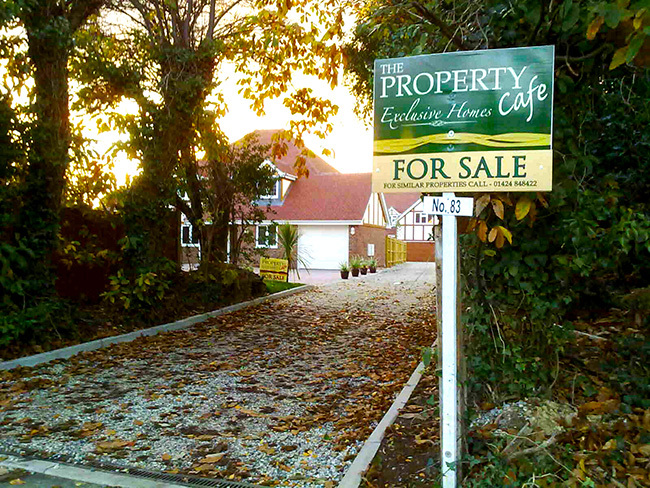 This is a screenprinted correx site board for the Property Cafe in Bexhill. "Exclusive Homes" board - these boards are top quality high-end prints, for Property Cafe's exclusive properties. Printed with gold ink, these correx boards are really different! 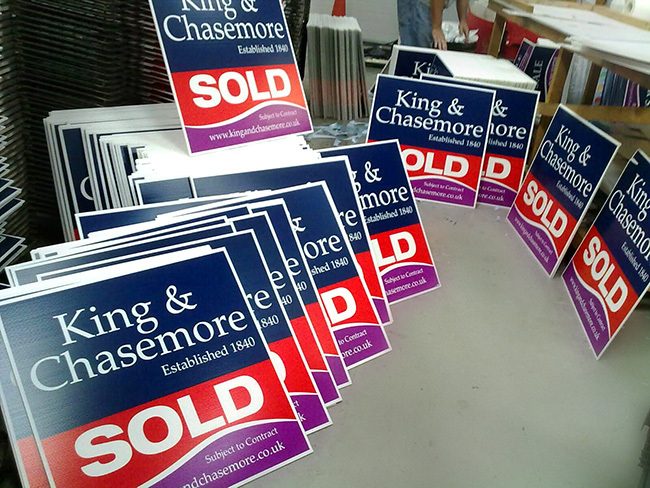 We printed a massive order for National firm King and Chasemore, completely rebranding their screenprinted correx signs. These are just a few correx boards we have supplied to companies in Eastbourne and Sussex. 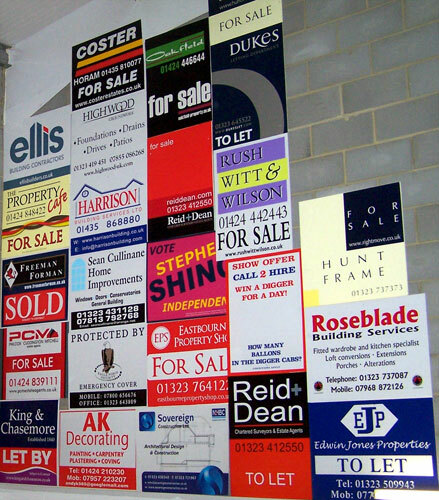 These are examples of Estate Agent boards plus builders boards, stacked at the Signtek unit. Freeman Forman are another company we are privileged to work with. 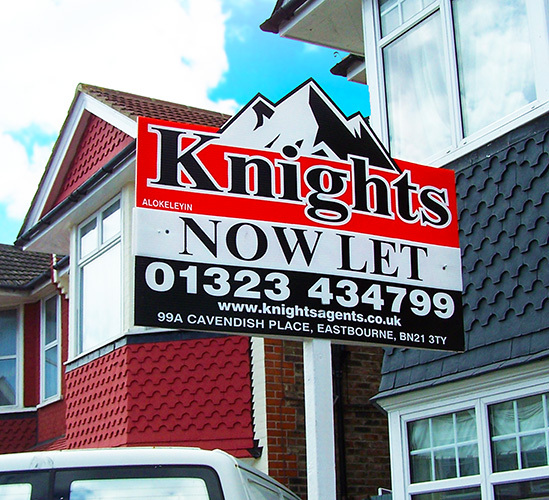 We supply their screenprinted estate agent boards for their residential and commercial departments, which are seen across Sussex. 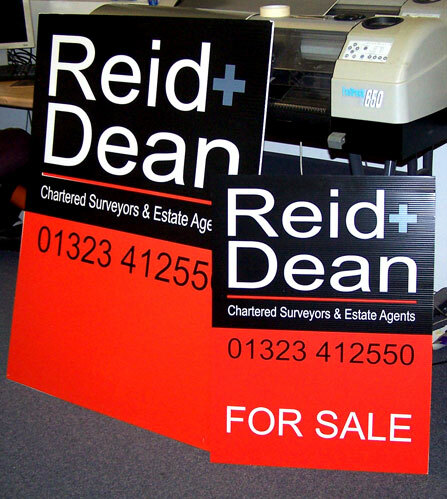 Reid and Dean are estate agents based in Eastbourne, East Sussex. Their estate agent boards are supplied by ourselves, as seen here. 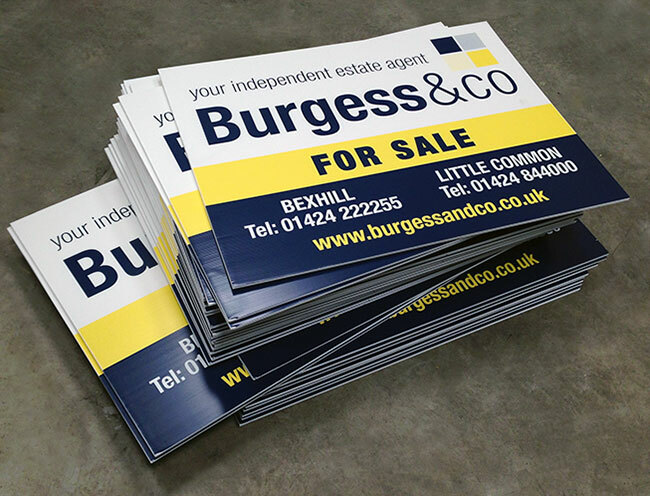 We have supplied many screenprinted estate agent boards such as these for Burgess and Co, an estate agent with multiple locations in Bexhill. 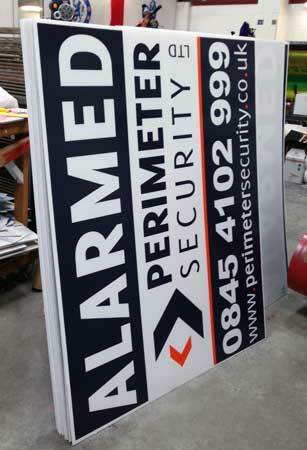 We can provide large format screenprinting, such as these large screen-printed boards for a security firm. 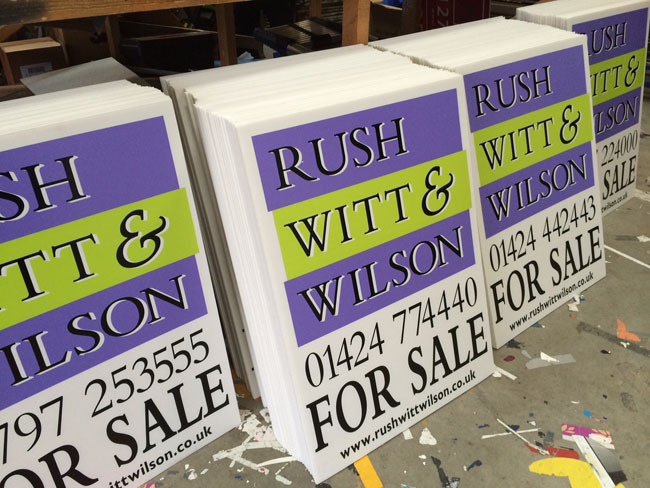 Estate agent boards screen printed for Rush Witt and Wilson by Signtek.